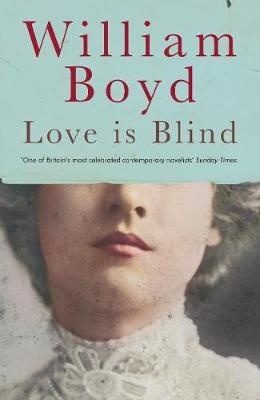 Historical fiction novelist William Boyd’s newest release with Penguin Viking, Love is Blind, shares an intimate account of the life of Brodie Moncur. Boyd’s detail and ability to turn the topic of piano tuning into a globe-trotting adventure made me double-check if Brodie was based on a real person, however he is pure fiction. The story begins towards the end of the 19th century, where young Brodie is a piano tuner from Edinburgh. His journey begins when he leaves Scotland and his complicated family behind to pursue a job offer in Paris. There, he becomes a personal tuner for the famous and sociopathic John Kilbarron, becoming drawn into his close social circle. Brodie immediately falls for Kilbarron’s lover Lydia Blum. Their scandalous affair takes them across Europe, fleeing those that wish them harm, as well as Brodie’s other threat: illness. This is my first William Boyd novel and initially I thought the story would be slow paced, however Boyd’s story-telling drew me in with the curveballs thrown at Brodie and the enchanting back drop of turn-of-the-century Europe. Despite his misguided decisions, I cheered for Brodie anytime he had a win against his obstacles and admired his sensitivity and belief that love will win out in the end. Love is Blind is a sweeping story of passion and perseverance and made me both smile and shed some tears.